"If you’ve got a hope of achieving your goals, you’ve got to dial it up to the discomfort zone, so that it compels innovation and your best thinking—and you actually get excited about it." Ring in a new year. Resolve to accomplish that money goal you’ve been meaning to tackle. Make some progress (yeah!). Then lose momentum and motivation (sigh). Promise to do better next year...aaand repeat. Sound familiar? No, we haven’t been reading your journal—the cycle’s just that common. 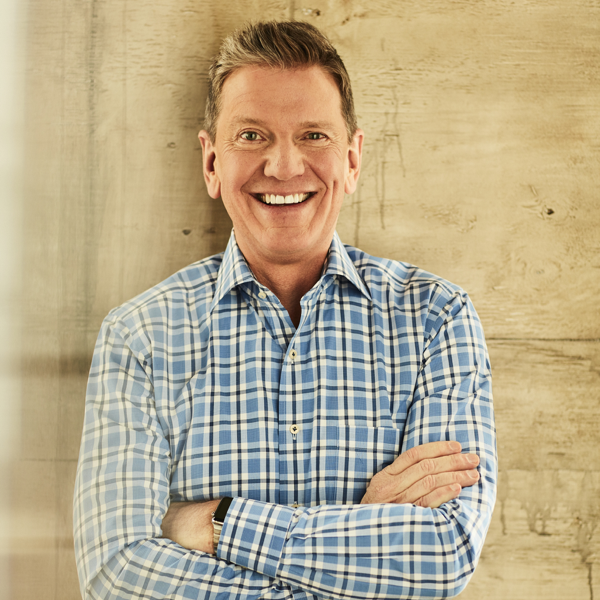 Leadership coach Michael Hyatt, who developed a course that’s taught more than 30,000 people to accomplish their goals over the last five years, says he knows why: We’re following advice that just doesn’t work. We talked to Hyatt about the five-step, goal-setting plan outlined in his new book, “Your Best Year Ever,” what separates those who achieve their goals from those who don’t—and the simple lesson that’s made the biggest difference in his own career and finances. Why do so many of us fail to stick with our resolutions? There are so many reasons! People are too vague. They want to have a better marriage, make more money, get out of debt or write a book. But it’s not specific; it’s not measurable. Another big reason is they’re not written down. Research [shows] writing your goal down increases the likelihood of achieving it by 42 percent. You’ve said we often rely on "outdated and faulty" strategies to reach our goals. What doesn’t work, and what strategies should we be using instead? A lot of people advocate setting your goals in your comfort zone: Make it easy; make it incremental. But if you’ve got a hope of achieving your goals, you’ve got to dial it up to the discomfort zone, so that it compels innovation and your best thinking—and you actually get excited about it. Another piece of bad information is that you should go public with your goals. I used to do this myself… but the research shows that when you do that, you get the same dopamine hit as if you’d actually achieved the goal—so it actually works against you. What I advocate is to share selectively with a small network of friends who can support you, give you feedback and hold you accountable. Can you walk us through the five steps in your book on how to accomplish goals? The first section of the book is called ‘Believe the Possibility.’ As we grow older—and face setbacks and challenges—we accumulate these limiting, [subconscious] beliefs. So it comes time to set some goals, and we think, ‘Oh, I’m too old [or young] for that, or I don’t have enough resources.’ I teach people how to transform these beliefs. Step two is called ‘Complete the Past.’ We don’t want people dragging the worst of their past into the best of their future and clouding their thinking about what’s possible. I’m not talking about deep-seated traumas from childhood, but looking over the events of the last year and acknowledging when we were disappointed and cataloguing our wins. [Doing this] allows [people] to dream even bigger because they’ve got wins under their belt. Next is ‘Design Your Future.’ This is about realizing we can become the architect of what transpires in the next 11 to 12 months… I walk people through the seven attributes of SMARTER goals. Most people have heard of SMART goals, but I [change some of the meaning and] take it a step further… The ‘E’ stands for exciting. If a goal’s not exciting to you, the chances are very slim that you're going to accomplish it. The ‘R’ stands for relevant. Goals need to be aligned with each other and in the season of life that you’re in. The fourth step is to ‘Find Your Why.’ When people lose their why, they lose their way. [Knowing why you want to accomplish something carries you through] the ‘messy middle,’ when you’ve gone too far to quit but you’re not sure you’ve got the energy to finish. Identify at least three whys for each goal—this keeps you in the game. Number five is ‘Make It Happen.’ Start with the easiest tasks first. This is contrary to the philosophy that says ‘eat the frog’—or pick the ugliest thing you’ve got to do and do that first. But that’s like walking into a gym and deciding to bench-press the most weight you’ve ever bench-pressed. It makes much more sense to work up to that amount. Identify some tasks to give you a sense of momentum and begin to feel confidence. Do you have any tricks for staying on track once you’ve laid out the plan? I talk about something called activation triggers. [Ask yourself], ‘How can I set myself up for success by rigging the game in my favor?’ [For example], if I’m trying to save money, put it on autopilot, so it’s taken out of my account and I never have to think about it. One of my goals last year was to get out of the office by 6 p.m. each night, so I automatically programmed the lights in my office to cut off at 6 so I’m left there in a dark office. What have you found to be the biggest difference between those who reach their goals and those who don't? Most importantly, people have got to have a systematic way to review goals. Goals that are out of sight are out of mind. I encourage three different types of review: daily, weekly and quarterly. Most of us focus on financial and wellness resolutions, but you encourage people to look at 10 life domains, including marital, parental and social. Why’s that? Most of us live lives that are interconnected. If you have a health crisis, it’s going to impact your work. If you go through a divorce, that’s got major financial complications. We can’t afford to narrow our focus so much and not pay attention to some of these areas because it can be the very thing that derails us. You're successful financially and professionally. What lessons have you learned along the way that had a real impact on your approach to money and career? Being willing to ask for help. And don’t be afraid when you don’t know something. Everything is figure-out-able if you get the right resources, whether it’s books or coaches or advisors. What's the best financial advice you ever got? Spend less than you make and do it over a long period of time. Having the margin to invest and save is the secret to accumulating wealth.